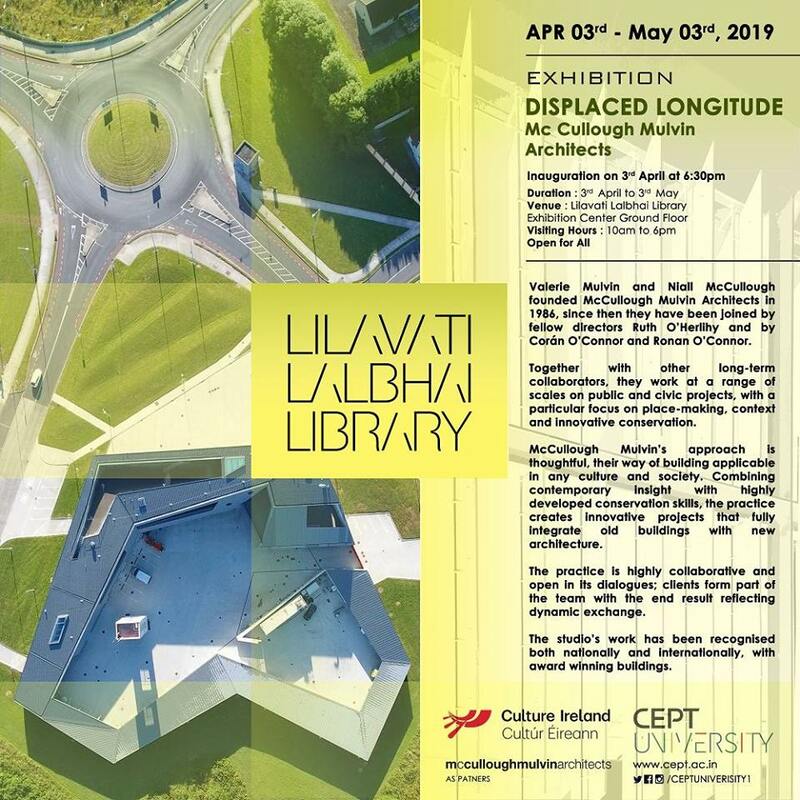 The Lilavati Lalbhai Library is hosting an exhibition on Displaced Longitude, featuring the work of the Dublin based practice, McCullough Mulvin who are currently building in India and in Europe. The exhibition will be opened by HE Brian McElduff, the Ambassador of Ireland and Ruth O’Herlihy, MCM director, will introduce the exhibition. Together with other long-term collaborators, they work at a range of scales on public and civic projects, with a particular focus on place-making, context, and innovative conservation. McCullough Mulvin’s approach is thoughtful, their way of building applicable in any culture and society. Combining contemporary insight with highly developed conservation skills, the practice creates innovative projects that fully integrate old buildings with new architecture. The practice is highly collaborative and open in its dialogues; clients form part of the team with the end result reflecting dynamic exchange. The studio’s work has been recognized both nationally and internationally, with award-winning buildings.